The word “epic” gets tossed around a lot these days. And it’s clear we should be careful when the word is used by event promoters (except X-Pot) or anybody hawking a product. But there is absolutely no question that the word “epic” applies to the BC Bike Race, in which riders haul themselves from Vancouver to Whistler over seven spectacular stages of singletrack. And two riders from MIT are about to embarrass the rest of the field. Our very own strongmen Keith and Eric have been training for this for many moons. (But not at the expense of the latter’s thesis, of course, heavens no.) Anybody who’s tried to hold their draft in the last few months knows that they have tuned their engines to perfection. In fact it’s possible you’ve already been following their build-up to the BC race. Since 2008 Keith and Eric have helpfully and exhaustively documented their training and thinking on the blog they jointly maintain as Team Pedal and Wrench. Only a blog by a pair of MIT students, and in fact only by this pair, could include both setting up wireless in Afghanistan and a 10-year statistical analysis of trends in MTB geometry. The race starts on the 28th. Wish them luck, cheer them on, and follow their progress as Team Pedal and Wrench—on the race website, linked above, and on their blog, when they get a break from a week of unrelenting contact with nature. U. Penn, Temple, and Drexel are hosting another beautiful weekend of ECCC racing in Philadelphia, PA, in Fairmount Park on the Schuylkill (Schoolgirl!) River. Forewarned is forearmed, so here are my thoughts on the courses. This circuit race is one of the very few ECCC courses that I’ve done before (the other being Columbia). That long flat section could be great for establishing a break if no one is chasing, or could be the place where the pack comes back together if the wind is going the wrong way. The A field gets to go around the 6.5 mile course five times. My prediction is that a break will form early on around the course’s major climb, which may or may not get caught. No matter what, the long, uphill finish is longer than even I would like. Like last year, the attacks will start on that very last climb, and the pace will get ever faster to the line. Cornering skills will help in two places: after the start for the left onto the river, and after the hill for the right back on to the river. The Men’s A start time is about 3:20pm – so late! The Team Time Trial course is about 8.5 miles long and dead flat, except for a section at the start and finish. Without a disc wheel to use, I’ll be riding my Tri Spoke wheels. The wind could make things interesting. Aerodynamics will matter more than anything, so I think Team MIT will do well here. The Men’s A start time is 8:30am. This is a weird little crit course. If it is going clockwise as I believe it might, there will be a slight downhill finish. 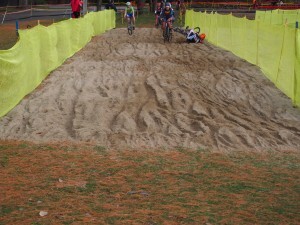 The Men’s A field will go from the gun for 50 minutes, trying to wear out as many riders as possible before the finish. A good start is key. I believe this course is so short, flat, and empty, that you can see one side of it from the other. 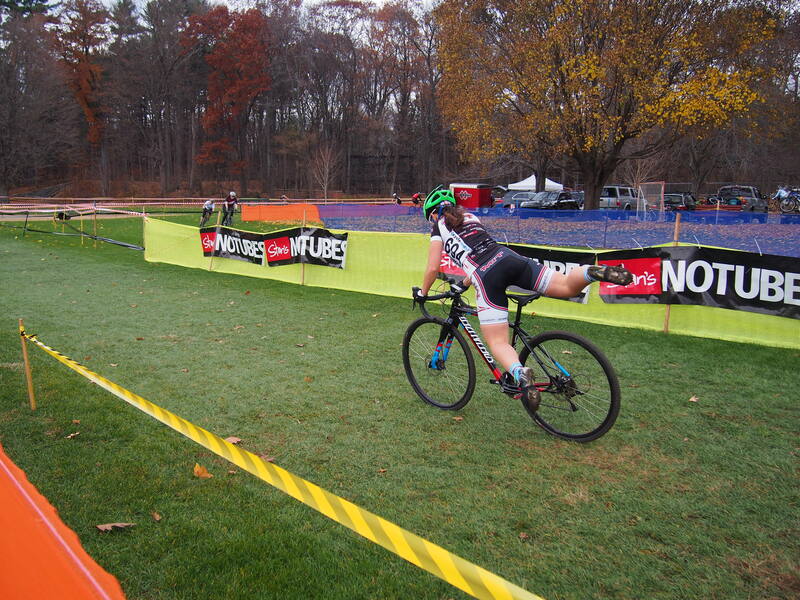 Cornering and pack skills are crucial to conserving energy for that inevitable final sprint. The Men’s A start time is 2:50pm. That crit is going to be nothing short of terrifying if the weather turns wet. Flats and crashes everywhere. I can only hope for the best. Saturday: A chance of showers. Mostly cloudy, with a high near 56. Chance of precipitation is 50%. Saturday Night: Rain likely. Cloudy, with a low around 47. Chance of precipitation is 60%. Sunday: A chance of showers. Cloudy, with a high near 58. Chance of precipitation is 40%. The 2009 road season kicks off this weekend with the annual Rutgers/Princeton races in Piscataway and Princeton, NJ. The weekend is traditionally the first the road season, and includes one of the only individual time trials, in addition to a criterium and a Sunday circuit race. The time trial is the first race on Saturday morning and is very short, only 2.7 miles in length. The winning time last year was under 6 minutes. The race is almost perfectly flat, but does involve 2 separate 180 degree turns, giving an advantage to technically sound riders. 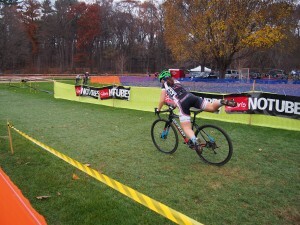 The Saturday afternoon criterium is on a new, 4-corner course on the Princeton campus. The race is advertised as having a steep “wall” that racers will climb every lap, and promises to be fast and spectator-friendly since the whole course is accessible. Sunday’s circuit race, on the Rutgers campus, looks like it will generally be more mellow, but a very long and moderately uphill finishing straightaway will reward patience and lead to an exciting sprint finish. 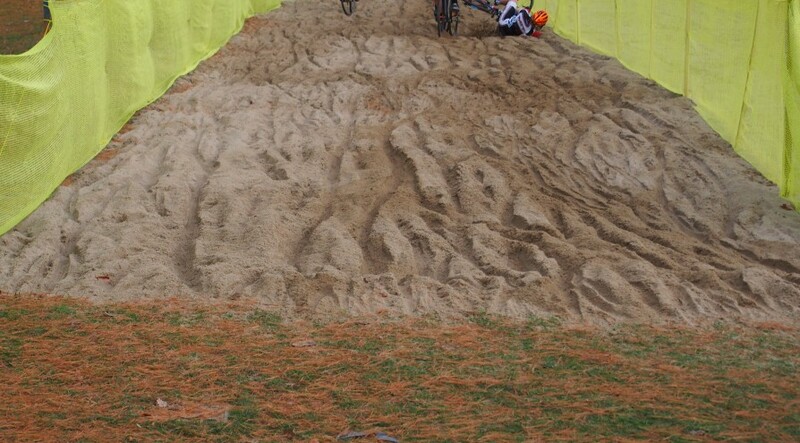 Check out Men’s B powerhouse José Soltren’s analysis (and maps) of the courses here.